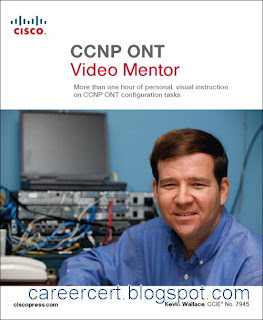 CCNP ONT Video Mentor is a unique video product that provides you with more than one hour of personal visual instruction from senior instructor Kevin Wallace. 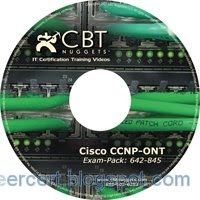 In the four lab videos, Kevin walks you through intermediate-level Cisco router and switch configuration topics that cover the most important objectives on the CCNP ONT exam 642-845. The 642-845 ONT tests knowledge and skills in optimizing and providing effective Quality of Servive (QoS) techniques for converged networks. This website is making career for all the guys whos following this site thanks 4 the valuable metarials. i want to do ONT certification but i din't find any letest dumps please guys help mee i have 10 daye left for the exam. Hello can you load the Internetwork Expert ccvp too? thanks! you rock! thank you for your work.This blog is a reference for those who are trying to achive it certs. i would like to get my hands on the internetwork expert ccnp videos.do you have it?